Portland, OR –FLIR Systems, Inc. (NASDAQ:FLIR), the world’s leading manufacturer of thermal cameras, announces the introduction of the FLIR Scout PS-Series Thermal Camera, for outdoor enthusiasts everywhere. Hunters, hikers, ranchers, rangers, outfitters, and adventurers of all stripes will appreciate the clear thermal imagery, palm-size portability, simple three button operation, and affordability at under $2,000. Lightweight and easy-to-use, Scout PS-Series thermal cameras allow you to gather critical and exciting visual information, day or night, for hours on end. Like all FLIR thermal cameras, the Scout PS-Series creates images from heat, not light, giving you a serious advantage out in the wild. Use a Scout PS24 or PS32 to navigate rough terrain or to scope out the “perfect spot” at dusk, before dawn, or even when it’s pitch black outside. Discover nocturnal animals, find wandering members of your party, locate lost livestock, or spot downed game. Peer into woods or heavy underbrush to see what’s going on, detect individuals in camouflage, and even see through light fog, smoke and trail dust. And the Scout PS-Series isn’t just for activity out on the trail—there are dozens of at-home, on-the-water, or on-the-go uses. The Scout PS-Series features a rugged, weathertight, ergonomic design, multiple resolution choices, digital e-zoom, image freeze-in-frame capability, three separate detection palettes, an embedded LED flashlight, and an internal re-chargeable Li-Ion battery. If you really love the great outdoors, why limit your experience to only daylight? The power of the Scout PS-Series gives you the freedom to explore nature’s extended hours in vivid thermal detail. Portland, OR – January 6, 2011 – FLIR Systems (NASDAQ: FLIR) announced the release of the incredibly affordable FLIR i3 thermal imaging camera. 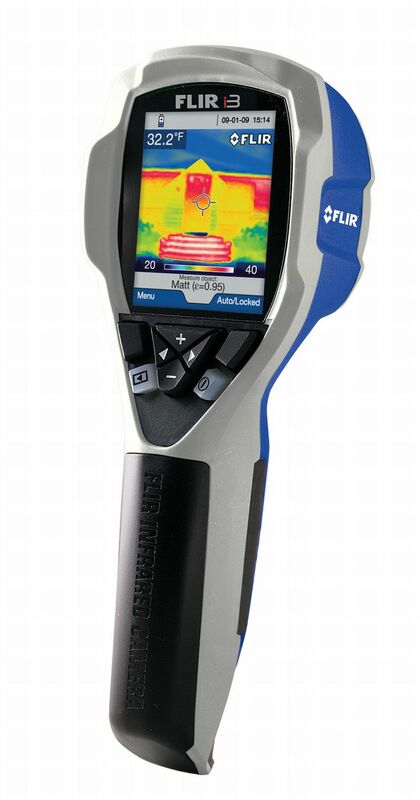 The entry-level FLIR i3 will retail for $1,195, making it the first infrared camera to offer high quality temperature diagnostic capabilities for under $1,200. 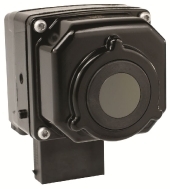 The FLIR i3 is available now for immediate shipment through authorized FLIR distributors. As the world’s largest manufacturer of thermal imagers, only FLIR is able to make infrared cameras accessible to all budgets by leveraging unrivaled manufacturing volume and decreased production costs. The FLIR i3 obliterates the price/performance barrier as the most cost-effective thermal imaging camera on the market. 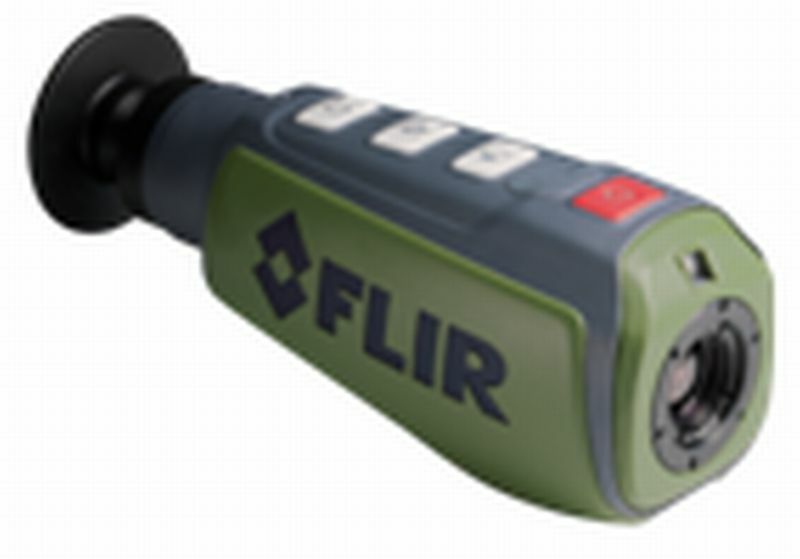 For plant and facility predictive maintenance technicians, electrical contractors, HVACR installation and repair professionals, insulation installers, facilities service contractors, construction general contractors, and facilities inspectors, the FLIR i3 empowers anyone who routinely uses a single-spot infrared thermometer or “temperature gun” to upgrade to the big picture of a FLIR infrared camera. 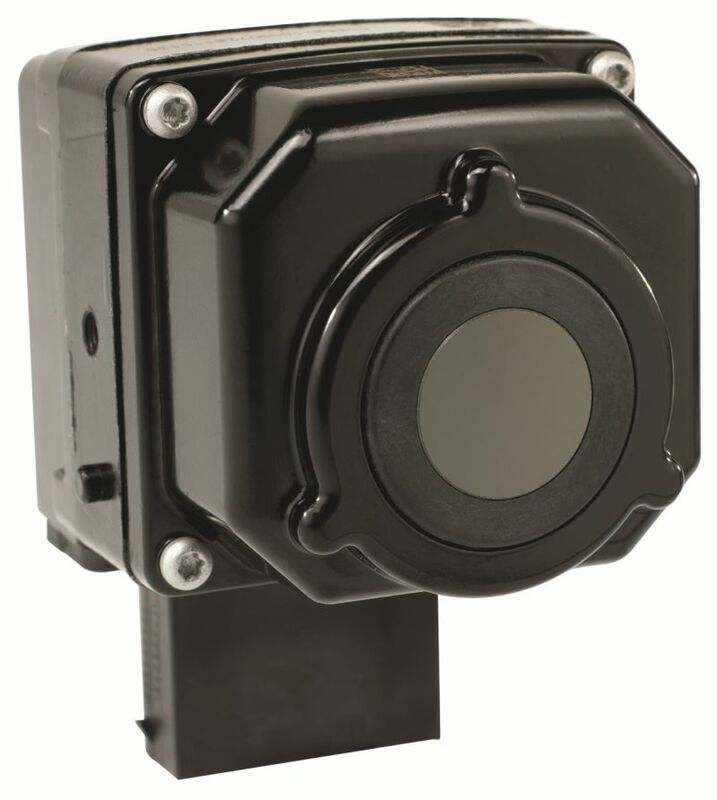 Ergonomically lightweight by design, the rugged FLIR i3 infrared camera offers impressive infrared image quality with 2% thermal accuracy, <0.15˚C thermal sensitivity, a large 2.8” color display, 60×60 pixel resolution, and adjustable emissivity. Add temperature detail with three image palettes and a center-spot measurement mode. The FLIR i3 is easy to use right out of the box with a fully automatic design, focus free lens, and >5 hour Li-ion battery. Unlike more expensive thermal imagers, the FLIR i3 stores up to 5,000 images in FLIR’s patented radiometric JPEG format which permits users to rely on only one image file for temperature analysis and reporting as well as for easy sharing in emails, MSWord documents, etc. Portland, OR – FLIR Systems (NASDAQ: FLIR) announced that their thermal imaging technology has been adopted as the imaging core in more vehicles than ever before. In addition to myriad first responder and industrial vehicles, FLIR’s thermal imaging technology is available in Audi, BMW, and Rolls Royce luxury automobiles. FLIR’s thermal imaging technology gives drivers a powerful thermal night vision camera that helps them see clearly in total darkness, allowing them to see roads hazards farther down the road than with ordinary headlights, giving them more time to react and avoid collisions. The thermal night vision cameras, from FLIR Systems and technology partner Autoliv, also incorporate automatic pedestrian detection technology that alerts the driver to pedestrians and cyclists who are in or approaching the vehicle’s path. Pedestrian detection makes these night vision systems truly vital safety features for everyone who drives at night. FLIR’s automotive thermal night vision technology – also available as an after-market product called PathFindIR – lets drivers see people, cars, and animals more than four times farther away than you can with your headlights. In addition to the ability to see farther at night, PathFindIR’s wide field of view lets drivers see things approaching from the sides of the road, avoiding potential hazards before they become dangers. Visit FLIR Systems at CES booth 26215, and www.flir.com, to learn more about FLIR’s full line of thermal night vision cameras. Hello there, how can I see an images being taken by this CES 2011 IR camera? Could it be used for medical office?